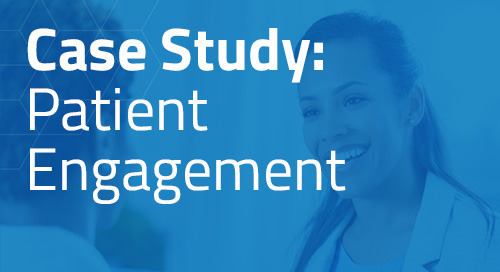 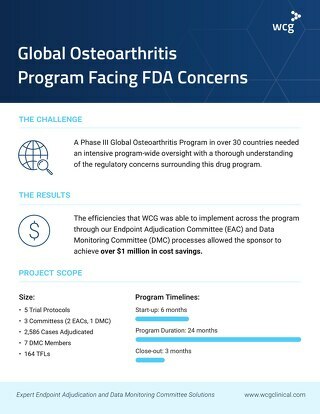 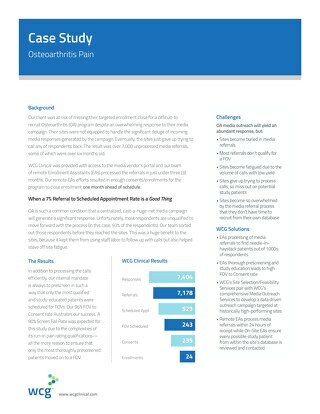 Enrollment for this 100-patient study had been underway for 11 months across 32 sites globally, yet only 20 patients had been enrolled. 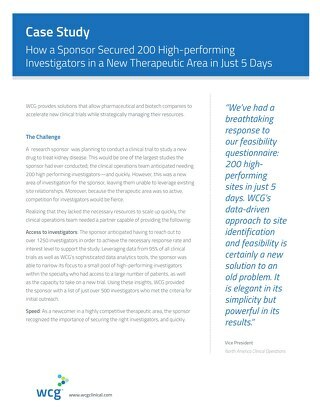 In fact, the client had spent a considerable amount of money on another recruitment vendor, which only netted two enrolled patients. 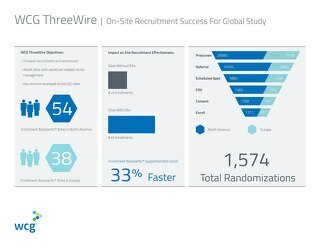 ThreeWire utilized strategic media buys, including radio and print, to jump start enrollment. Additionally to ensure that all sites received support, we provided site materials kits and a study website with online self-screener as an informational tool available 24/7. We also provided in-field “on-theground” support through our Chart Review™ and Enrollment Assistant™ services at selected sites in the US and Europe. 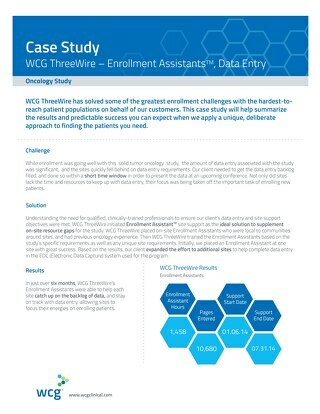 ThreeWire screened a total of 6,542 patients (4,178 from media and 2,364 from Chart Review) in just over six months, netting a total of 70 (ThreeWire) enrollments to help meet the enrollment goal approximately 24 months earlier than if enrollment would have continued without ThreeWire’s support.